Friends don't let friends manaburn. Are those mean ol' bots onto your tricks? Do you ever feel like your decks just can't cut it? Get ready to get the jump on those soulless machines with stuff they ain't ever seen before. 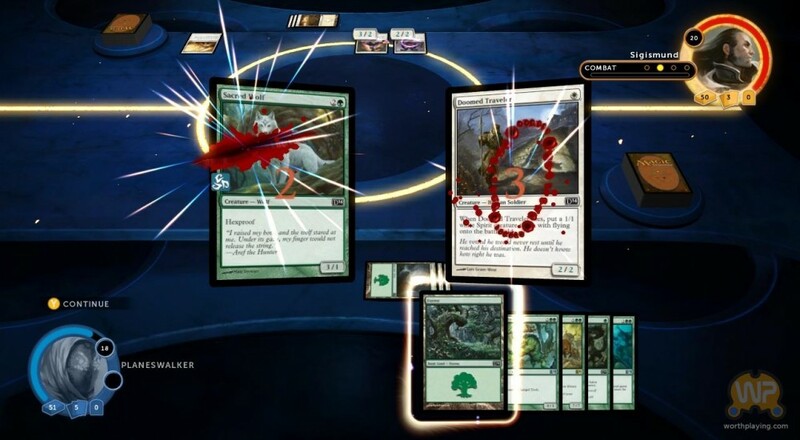 Two additional decks are available now for Magic 2014- Duels of the Planeswalkers for Xbox Live, PSN, Steam, iOS and Android devices for $2.99. 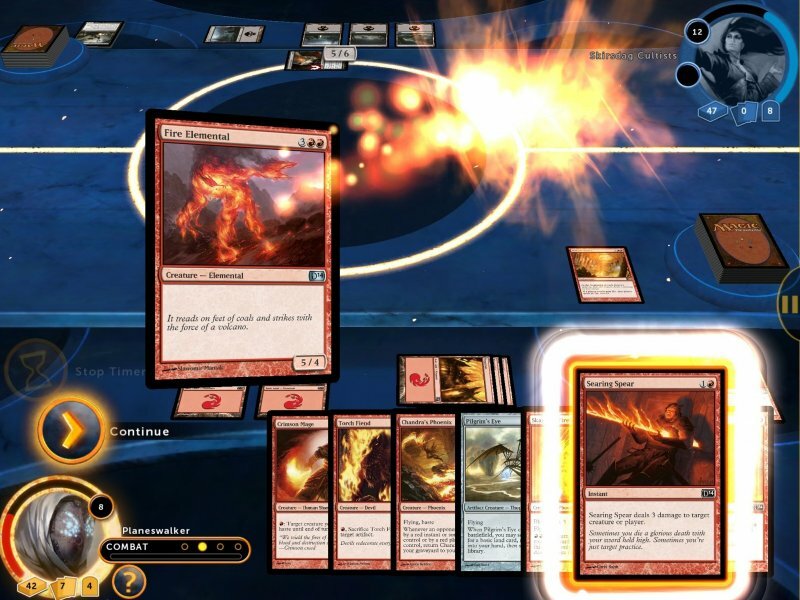 The cardsmiths down at Wizards of the Coast are still cranking out new stuff 20 years after the original release, and the virtual stuff gets its, too. The first new deck is called "Warsmith," combining the fast-action axe-to-the-skull fury of red spells and critters with the "oh look I just played a bajillion dudes for two mana" of white. While that combo isn't a rarity in the world of Magic, those creatures are buffed up by an arsenal of equipment artifacts and spells designed to get the most out of your fast-hitting homies. Then we come to "Hunting Season," a green deck based on poppin' out giant monstrosities to wreck your enemies. What's that, you say? It takes too much mana to summon your ancient fire-breathing wyrm, and by the time you finally have enough forests the enemy has already decapitated your summoner? Fear not, friends. Hunting Season's greatest strength is the ability to crank out new, bigger baddies as if you owned an ancient fire-breathing wyrm production line. You and your co-op buddy can take it to the streets on some bots with these new decks on your platform of choice. However, the launch timing for this add-on varies by region and platform. If they don't show up for you, check back soon. Page created in 1.1179 seconds.